Honda Motorcycle & Scooter India (HMSI) has confirmed that the Honda CB300R, a naked sports bike inspired by the Neo Sports Cafe styling will make its debut in India soon, at a price under Rs 2.5 lakh. The bike has been enjoying immense popularity in the international markets. 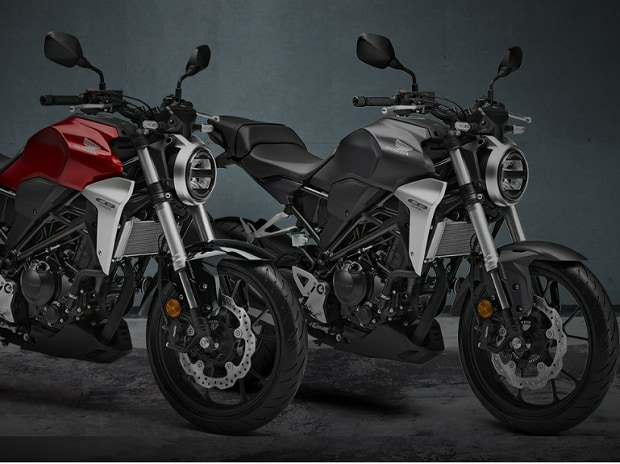 Available in two colours-- Matte grey metallic and Chromosphere red - the bike was unveiled at EICMA last year when Honda showcased their new range of three naked sports motorcycles which are all based on the same neo retro sports cafe design. With the increasing popularity of KTM 390 Duke, BMW G 310 R and Bajaj Dominar, there has been a rising demand of street fighters among the motorcycle enthusiasts and the CB300 will be a great entry in this segment, with its refreshing looks and coming of age tech. Powered by a 286cc DOHC 4-valve liquid-cooled single-cylinder engine, the bike churns out 30.9 bhp of power at 5,500rpm and 27Nm of torque at 7,500rpm. The engine is mated to a 6-speed manual transmission coupled with a wet multi-plate clutch and Honda promises a fuel economy of 30.2kmpl, which is an impressive figure as far as a 300cc engine is concerned. The CB300R has taken design cues from CB1000R, with a chiselled tank and a round full LED headlamp, giving the bike an appealing look. Apart from the LED headlamp, the bike also comes with all-digital LCD instrument cluster, 41 mm upside down (USD) forks, seven-step adjustable rear monoshock, a 296mm four-piston caliper equiped front disc and a 220mm rear disc which is coupled to a dual-channel ABS with inertial measurement unit(IMU). All these premium features make the CB300R one of the best equipped motorcycles in the segment that consists bikes like the KTM Duke 390 or the G310R from BMW. Honda claims that the CB300R is one of the lightest motorcycles in the 300cc segment and effective pricing on 2-2.5 lakh will certainly make things interesting among the entry level bikes in the premium segment.